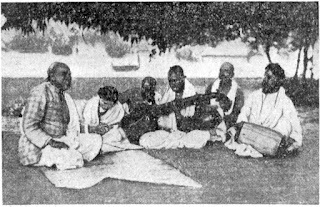 A grainy old photograph taken more than a century ago in Adyar, South Chennai, in Tamil Nadu, opens a revelatory window onto the history of Indian music in the West. A group of musicians is playing (mrdangam and saraswati vīna) and singing on the grass under a tree; their expressions convey, variously, concentration, interaction, and joy. Among them, cross-legged, is a slight, dark-haired young woman. Her face is not visible because her head is bent over some manuscript paper upon which she has noted the song text and some pointers about the rāga. On her right, the main singer who is her guru is tapping out the music’s tāla on his thigh. The story of Maud MacCarthy, the lone woman in the picture—of how an independent, professional musician made her way to India in the early years of the century, absorbed the music through immersion and practice, and returned to take on a new, albeit unofficial, role at the center of the English musical establishment—is one that challenges conventional images of the Indo-British colonial encounter, of the role of women in music, and of the history of Indian music in the West. Alongside photographs, reams of hitherto unseen field notes dating back over a century, carefully preserved by MacCarthy’s granddaughter, enable us to place her work firmly in the field of ethnomusicology. It is only now, through study of the extensive family collection that we are able to record and analyse for the first time the field work done by MacCarthy, and to reassess her significance in contemporary musical life. For two decades, from 1909 to 1929, driven by a commitment to bridging the colonial divide and “the colour bar” as she termed it, MacCarthy tirelessly gave lecture-recitals across Britain and in Paris, earning the acclaim as well as the friendship and respect of Indian, British and French luminaries in literary and musical circles. Nevertheless, it was Arthur Fox Strangways’s book, The Music of Hindostan, which made, and left, an official mark on the era. Indeed, illness, family responsibilities, lack of institutional support or financial stability, all conspired against the book MacCarthy had planned and, following the upheaval of her long-term return to India, MacCarthy’s work was forgotten. But her influence continued through her husband, the self-taught Mancunian composer, John Foulds. Since meeting MacCarthy in 1915, he had been uniquely placed to learn Indian music and did not waste his opportunity! Foulds based several of his most ambitious compositions on Indian musical elements. 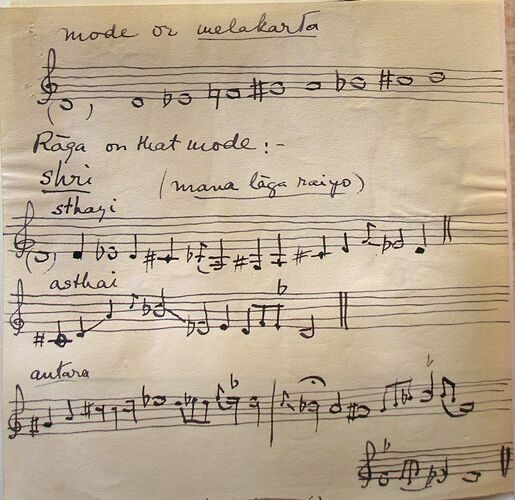 The first fruit of this endeavour was a set of piano pieces entitled Essays in the Modes, each based on a South Indian mode or Karnatic mēlakarta. This method of composition using mēlakartas underpins some of the most adventurous of Foulds’s larger orchestral canvases. In the wake of the Essays in 1929, he completed the Dynamic Triptych, a three-movement piano concerto in the tradition of the bravura works of Liszt and Rachmaninoff. Its first movement, Dynamic Mode, is based wholly on a mēlakarta. 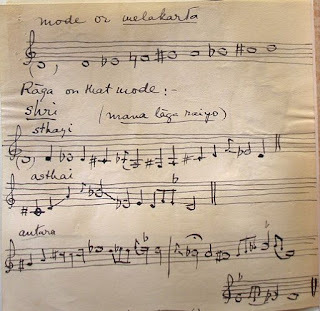 The following year, he finished the last of his Three Mantras, the Mantra of Will and Vision of Cosmic Avataras, which is an orchestral tour-de-force, modernist in its conception, and generated entirely from the seven pitches of the mēlakarta Dhavalambari (this distinctive mode also appears in Holst’s Neptune, where it is pitched a perfect fifth higher). Sketches for the Mantra of Will bear the pencil note, “to invoke the Rakshas.” These are the forest demons of Hindu mythology who attack seers, sages, and yogis. In the Ramayana, they are led by their ten-headed king Ravana. Foulds’s invocation of the Rakshasas is constructed over a syncopated seven-beat rhythmic phrase (a mantra) that is heard throughout. In the composer’s sketch, the repeating rhythm is visible in the upper stave. In the fourth bar, a second voice joins the ostinato, creating parallel fifths and tritones with the first. This modernist invocation of Ravana’s demonic rakshasas was far from the prevailing “pomp and circumstance or pastoral” aesthetics of the “English Musical Renaissance.” Among the most potent factors determining success for composers in the 1920s and 30s was the wireless, whose coming, Ernest Newman noted, “had placed the musical destiny of this country in the hands of the BBC.” Foulds’s music was not part of that destiny. There was certainly a strong layer of politics underlying the music choices made at the BBC and, apart from his lighter works, as the internal memos demonstrate, Foulds did not fit in. None of the Mantras or the Essays in the Modes, among other serious works, was performed or broadcast. At the height of his creative powers, Foulds (along with MacCarthy) abandoned the “austere, colourless” London of the 1930s for India. There, he completed the earliest transcriptions known to us of classical Indian music for orchestra, and was appointed Director of European Music at All India Radio—a “grand and responsible” role at the heart of Indian broadcasting. When Foulds arrived at the Delhi station, the very approach that he brought with him, via MacCarthy, ran contrary to imperial ideas. Although Director of European Music, Foulds formed an ensemble made up entirely of Indian musicians playing Indian instruments which began to broadcast Indian music in his own arrangements. 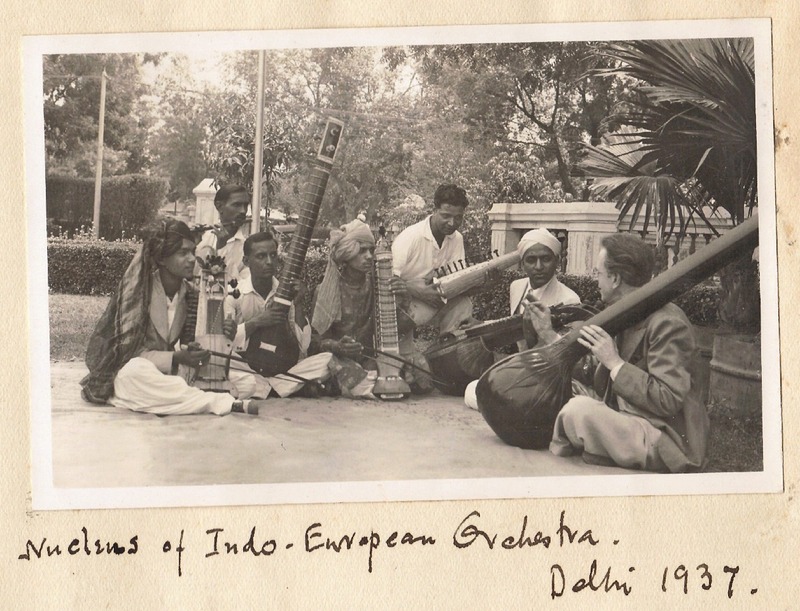 Thirty years after MacCarthy had sat down among fellow musicians in Adyar, Foulds sat with musicians in Delhi. And, just months after that famous stroke of the midnight hour, when India awoke to life and freedom, Ravi Shankar inherited the Foulds ensemble, as well as the composer’s folk song transcriptions and arrangements, using them as the (unacknowledged) model for his own music making as director at the Delhi station. 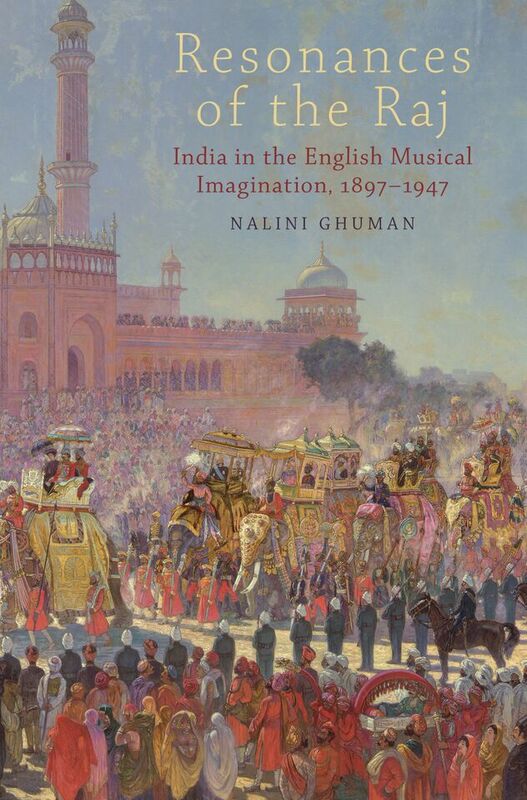 Excerpts from Resonances of the Raj by Nalini Ghuman (Oxford UP, 2014). See also the companion website at OUP. Nalini Ghuman is Associate Professor of Music and Affiliated Asian Studies Faculty at Mills College. Publication of her book was supported by subventions from the AMS 75 PAYS Endowment and the Manfred Bukofzer Endowment of the American Musicological Society. 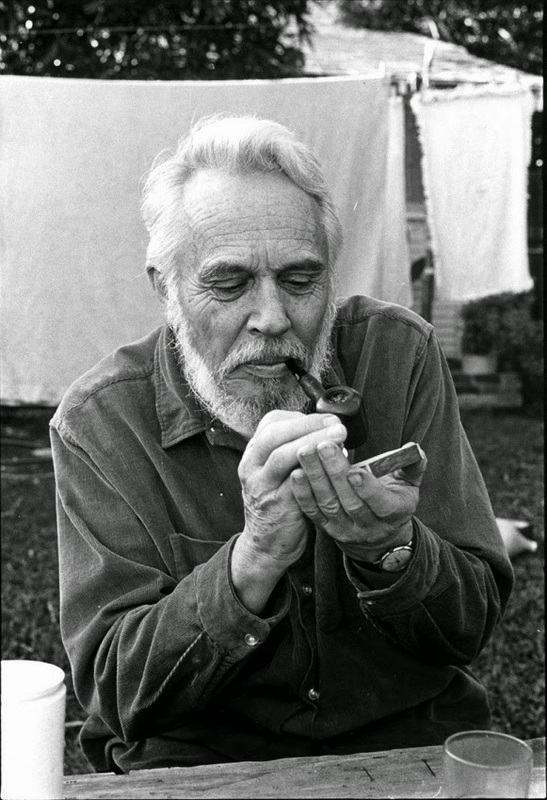 When Harry Partch died in 1974, many believed his legacy would die with him. Ben Johnston, Partch’s student and an eloquent exponent of just intonation, warned in a 1975 speech that his death “underlies the urgency that something else has to happen: the rescue of his life-work, which could easily slide into oblivion.” Johnston’s fears were justified. Partch’s musical achievements were more connected to his personal presence than almost any composer I know. His music was written in just intonation for instruments of his own creation using a tablature-based notational system distinctive to each instrument. The instruments were fragile, requiring such constant upkeep that during rehearsals and performance he was tuning and repairing them daily. His typical procedure for mounting one of his music theater works was to train the musicians by modeling the approach and stance for each instrument, so they would not only play the right pitches, but be mindful of the visual impact of their performance as well. As you can imagine, productions of his theatrical works during the 1950s and 1960s were built on his personal charisma, his dogged drive to create his art without compromise, and his corporeal presence, to borrow Partch’s term for the music he sought to create. Without Partch around to fulfill all these roles and more, there was a real possibility his art would fade into legend. In September 2012, Brian Robison organized the first conference on Partch’s music: The Harry Partch Legacy: Microtonal Constructions and Intercultural Dialogues. Hosted by Northeastern University, the New England Conservatory, and the Goethe-Institut Boston, the conference treated participants to three days of concerts on Partch’s original instruments, sessions delving into Partch’s theories and history, and workshops by Dean Drummond (then the instruments’ curator) and members of Ensemble musikFabrik. The resulting performance was so successful that the Edinburgh International Festival invited the Ensemble to bring the production to the King’s Theatre in August 2014, and the Lincoln Center Festival has invited it to New York in July of this year. In April 2014, David Lang, the 2013-2014 Richard and Barbara Debs Composer’s Chair at Carnegie Hall, curated a six-concert series he called “Collected Stories” because it divided its programs “not by genre or style, but by the various kinds of stories that a piece of music can tell in order to see how the story and the composer work together.” To open the series, Lang put together “Hero” which paired Benjamin Bagby’s performance of Beowulf with Partch’s The Wayward, performed 70 years to the day after its premiere in Carnegie Hall under the auspices of the League of Composers. 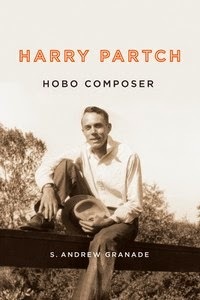 Last October, the University of Rochester Press published my book Harry Partch: Hobo Composer, a detailed examination of Partch’s Americana works from historical, cultural, political, and musical perspectives and only the second monograph on the composer’s life and music. In November of last year, Partch’s original instruments headed across the country to their new home at the Harry Parch Institute, University of Washington. For the past fifteen years, Montclair State University hosted Partch’s instrumentarium. But after Dean Drummond’s death in 2013, Montclair decided to let the instruments move to a new home. In October 2014, the University of Washington invited the Partch Institute for a two-year residency with Charles Corey “coordinating performances of Partch's works and setting up a program to teach students and the public about Partch's life, music, and philosophies.” In January, Corey set up eleven of Partch’s instruments to create an ensemble that will perform selections from Eleven Intrusions, And on the Seventh Day Petals Fell in Petaluma, and other pieces in a concert on May 26, 2015. Hopefully, this is the beginning of a fruitful new period for Partch’s creations. And there is more to come. Filmmaker Jon Roy is at work on a documentary called Bitter Music: The Life of Harry Partch; Charles Corey and the University of Washington have ideas for more public performances and even summer workshops; and new scholarship is appearing all the time. In Stephen Pouliot’s graceful documentary The Dreamer That Remains: A Portrait of Harry Partch, filmed in the years leading up to Partch’s death, the composer exclaimed: “I would choose to be anonymous. Of course! I’m thinking of those fantastic cave drawings in southern France and in northern Spain, at Altamira I think it is. And there’s no author there! And what a treasure they are! And who cares who did them, how many thousands of years ago. Of course, I’m not saying that anything I do is going to last that long. But who cares what the name was!” Despite that self-effacing statement, it seems that the world increasingly does care about the man who created some of the most expressive, earthy, and deliriously idiosyncratic music of the 20th century. Andrew Granade is Associate Professor of Musicology and Chair of Composition, Music Theory, and Musicology at the Conservatory of Music and Dance, University of Missouri, Kansas City. Sara Levy (1761–1854) was the fifth daughter of a prominent Jewish family, the Itzigs, who made their home in Berlin, court city of the Prussian Empire, in the second half of the eighteenth century. 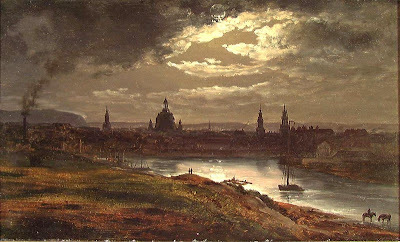 She was born just as the city was becoming a center of the Prussian Enlightenment. 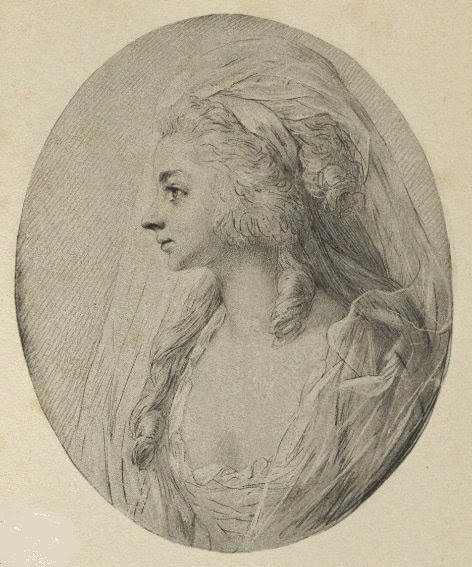 Sara Levy shaped the cultural ideals of late 18th-century Berlin as a salonnière, patron, and performing musician. A keyboardist with connections to Wilhelm Friedemann and Carl Philipp Emanuel Bach, she performed both in private house-concerts and the more public venue of the Sing-Akademie zu Berlin. She interacted with Jews and Christians in Berlin’s enlightened circles, overcoming obstacles of religion and gender to transform Berlin’s artistic landscape and becoming a catalyst for the Bach revival of the 19th century. Her work was the subject of a symposium on 29-30 September 2014 at the Mason Gross School of the Arts, Rutgers University in New Brunswick NJ, called Sara Levy's World: Music, Gender, and Judaism in Enlightenment Berlin. Financial support was provided by the New Jersey Council for the Humanities and the German Academic Exchange Service (DAAD). Videos of the conference papers and the original concert are linked HERE. 2014 symposium home page HERE. On Tuesday, 19 May 2015, a “followup” concert, “In Sara Levy's Salon,” takes place at the Leo Baeck Institute, Center for Jewish History, on 16th Street in New York City. It features music owned and played by Sara Levy in the program given below, with Rebecca Cypess, harpsichord and fortepiano and supporting musicians Frederick Urrey, tenor; Steven Zohn, transverse flute; Benjamin Shute, violin; Dongmyung Ahn, viola; Christine Gummere, cello; and Yi-heng Yang, fortepiano. The concert is introduced by Nancy Sinkoff, with commentary during the evening from Christoph Wolff. It is sponsored by the American Society for Jewish Music and the Leo Baeck Institute. This text is an abridgement of Prof. Sinkoff's remarks. Music played a pivotal role in the salons created by German-Jewish women like Sara Levy. It was performed, listened to, and discussed by the salonnières and their guests, carefully chosen cultured individuals who could appreciate what was being played. Sara Levy came to her musical interests through her natal family’s value system. 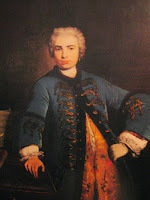 Daniel Itzig hired Johann Philipp Kirnberger, a student of and advocate for the famed Baroque composer Johann Sebastian Bach, for Hanna and Bella, his two eldest daughters. Sara’s younger sister Fanny, later a famous Viennese salonnière in her own right, was an instrumentalist who helped establish the Gesellschaft der Musikfreunde, and later created the music hall that became home to the Vienna Philharmonic Orchestra. She and her husband Nathan Arnstein gave Mozart domicile in their home in 1781. Like her sisters, Sara Levy studied music, she with Wilhelm Friedemann Bach, son of J. S. Bach, and became an accomplished keyboardist. She commissioned progressive and noteworthy compositions from both Friedemann and his brother Carl Philipp Emanuel, and she owned a massive collection of music manuscripts and printed editions of music from her own day and from the previous generation. Levy played the harpsichord and fortepiano, and owned both types of instruments made by the famous Silbermann family of Strasbourg. Being a “lady at music” did not necessarily mean playing solely for oneself. The eighteenth-century salon, though domestic, was not private, and therefore suggests that music-making allowed elite women to push the boundaries between the private, domestic female sphere and the public, male one. An orchestra of the eighteenth-century size could easily have fit into Levy’s salon, and she is thought to have played concertos as well as solo and chamber music in her home. When she played, she performed for an audience. And she went even further in stretching the boundaries of expected female behavior. She performed for friends and acquaintances in the public venue of the Sing-Akademie zu Berlin, a bourgeois choral society founded in 1791 by Carl Fasch, a harpsichordist to the Prussian court. Her relationship with the Sing-Akademie illustrates the central role that Jews played in the creation of German musical history. Carl Friedrich Zelter was appointed to the directorship of the Sing-Akademie in 1800 and became particularly committed to J.S. Bach’s work, performing excerpts from his Passions, Masses, and cantatas when it was not common practice to revisit the music of the past century. Becoming Felix Mendelssohn’s music teacher in 1811 when his parents Abraham and Lea Mendelssohn relocated to Berlin, Zelter passed his ardor for Bach to his remarkable student, ensuring continued interest in Bach’s music. So, too, did Sara Levy, who became particularly active in the Sing-Akademie after her husband Samuel Levy’s death in 1806, and donated her collection of music—which included instrumental pieces, solo works, chamber music, symphonies, and keyboard concertos, many by the Bach family—to Zelter. Nancy Sinkoff is Associate Professor of Jewish Studies and History at Rutgers, director of the Center for European Studies there, and a resident of New York city. Rebecca Cypess is Assistant Professor of Music at Rutgers, the State University of New Jersey. A forte-pianist and harpsichordist, she specializes in the history, interpretation, and performance of music in 17th- and 18th-century Europe, seeking to establish connections between musicology and performance practice. Christoph Wolff is Adams University Research Professor at Harvard University and Curator of the Isham Memorial Library. Wolff is among the world’s leading scholars of J. S. Bach and his legacy. Sara Levy (1761–1854) was one of fifteen children born to Daniel and Miriam Itzig, among the most influential and wealthiest Jews in 18th-century Prussia. Daniel received special status as a “court Jew” to Frederick the Great, and his children benefited from his position. Along with her siblings, the young Sara received the finest musical education available. By 1774 she was studying harpsichord with no less a teacher than Wilhelm Friedemann Bach (1710–1784), eldest son of Johann Sebastian Bach (1685–1750). Under the tutelage of Friedemann, she exceeded the expectations of women of her age as musicians. Whereas the many “Damen Sonaten” (Ladies’ Sonatas) published in the 18th century suggest that women were generally seen as capable of playing only very simple pieces, accounts of Levy’s performances, along with the documentary evidence from her collection of manuscripts and printed editions, suggest that she was an extremely capable performer with eclectic tastes. Great-aunt to Felix and Fanny Mendelssohn, Sara Levy’s activities as a performer, collector, and patron left an indelible mark on the course of German musical history. This evening’s program consists of music associated with Sara Levy—works that she is known to have kept in her collection of manuscript and printed scores, and works that she is thought to have played or commissioned. Levy synthesized a wide range of music, keeping past traditions alive and initiating new styles and performance practices. This concert imagines a program of the sort that Levy might have heard and performed in her salon. W. F. Bach’s keyboard Fantasy in D minor Fk. 19 presents a portrait of the composer at the keyboard, simulating his process of improvisation. The work moves easily between sections in diverse styles, including a rhapsodic triplet-figure motif, a theme in the style of a “French overture,” and a fugue. This fantasy survives only in manuscripts associated with Levy’s salon, indicating that she may have commissioned it (and paid handsomely for it). Friedemann’s song “Herz, mein Herz, sei ruhig,” based on a movement from one of his earlier keyboard sonatas, was evidently composed for Sara Levy’s wedding—a remarkable testimony to the close relationship between the composer and his pupil/patron. The other songs on the program also have connections with Levy: the song by Johann Philipp Kirnberger is from a 1761 miscellany, published in Berlin, entitled Musikalisches Allerley. Levy owned this volume, a fact that attests to her interest in the preservation of older local traditions. The two songs by Carl Friedrich Zelter—settings of well-known texts by Johann Wolfgang von Goethe, included in Zelter’s first book of Lieder (1797)—are included in the program as a nod to the relationship that would develop around the turn of the 19th century between Levy and Zelter’s Sing-Akademie, where she performed regularly as a concerto soloist. 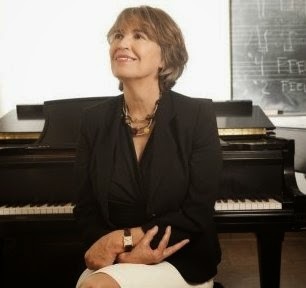 Indeed, this relationship proved most important for the present project: Levy apparently donated the bulk of her collection of music to the Sing-Akademie during her lifetime; its preservation there—complicated by its exile to Kiev during the Cold War and its subsequent repatriation to Berlin—has enabled this project. Also significant was Levy’s wish to engage with German musical history and to bring it into dialogue with modernity. The quartets that start and close tonight’s program stand as examples of this tendency. The manuscript copy in her collection of the quartets of Johann Joachim Quantz—an important figure in the history of music in Berlin because of his role in the court of Frederick the Great—is the only surviving copy of these works, which fuse contrapuntal complexity with the rhetorically based aesthetic of the “galant” style. Quantz’s quartets were likely composed in the 1720s; Sara Levy’s decision to keep these works in her collection when they are absent even from the collection of Frederick the Great attests to her zealousness in preserving past musical heritage of the Berlin community. The significance of the quartet as a medium was described by Quantz in his treatise on flute performance, published in 1752. There, he wrote, “The quartet, a sonata with three concertante instruments and a bass, is the true touchstone of a genuine contrapuntist, and is often the downfall of those who are not solidly grounded in their technique. Its vogue has never been great, hence its nature may not be well known to many people. It is to be feared that compositions of this kind will eventually become a lost art.”1 In the hands of Carl Philipp Emanuel Bach, the quartet persisted but changed. No longer scored for three instruments with basso continuo (chordal accompaniment founded on the bass line), Philipp Emanuel’s quartets, apparently commissioned by Sara Levy toward the end of the composer’s life, treat the right hand and left hand of the keyboard as separate obbligato parts acting in counterpoint with the flute and viola. In addition, the musical style of C.P.E. Bach’s quartets diverges considerably from that of Quantz; Bach’s late works reflect his interest in the empfindsamer Stil (“sentimental style”), which features the fragmentation of musical ideas, intensely emotional passages, and surprising harmonies. Saturday's summit features conversations, live performances, town-hall style debates, and discussions with artists, innovative thinkers, and policy leaders. It expects to focus on race, education, technology, and free speech, envisioning a road forward for the arts in these areas. 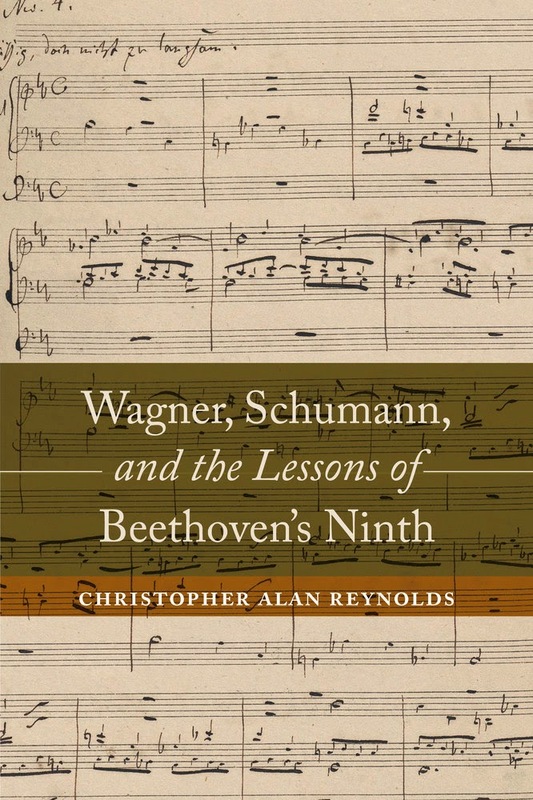 My book examines the decisive impact of Beethoven’s Ninth Symphony on Robert Schumann and Richard Wagner during the year 1845-46. During this year, when they both resided in Dresden, they had multiple meetings with each other. This is also the year that their musical styles changed significantly, both of them developing more contrapuntal approaches to composition. The extent to which their compositional styles changed in a common direction, toward a style that was more contrapuntal, more densely motivic, and also engaged in processes of motivic/thematic transformation, has largely gone unexamined. I try to show that the stylistic advances that Schumann and Wagner both made during these months stemmed from a deepened understanding of Beethoven’s contrapuntal techniques and formal strategies in the Ninth Symphony, especially its first movement. 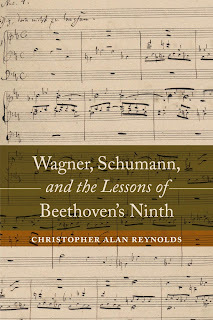 Whether the original insights were Schumann’s or Wagner’s, the evidence provided by their compositions from this pivotal year and the surrounding years suggests that they discussed Beethoven’s Ninth with each other in the months preceding the performance of this work that Wagner conducted on Palm Sunday, 1846. What appears to have interested them both was 1) Beethoven’s use of counterpoint that involved contrary motion, and 2) the way in which the Ode to Joy melody was developed gradually in the preceding movements, so that the appearance of the theme in the finale was dramatically and musically motivated. The extended dramatic program Wagner wrote for the Ninth plays an important role in my analysis. He constructs a battle narrative to depict a struggle between good and evil. It is important that the German words for counter maneuver (military) and contrary motion (music) are both the same, Gegenbewegung. This allowed Wagner’s narrative to be based on a musical technique that Beethoven made important use of in the Ninth Symphony. The breakthroughs that Schumann and Wagner had in Dresden in 1845-46 allowed them to apply Beethoven’s techniques, forever changing their styles. When I began writing this book, my very different plan was to analyze several pairs of works, identifying the musical features that they shared and then using those observations to say something new about the works individually. I had just published my comparison of Gershwin’s Porgy and Bess and Alban Berg’s Wozzeck, and I thought that perhaps that article might serve as both a chapter in the book and a model for how I would proceed with other pairings. My method in the Gershwin-Berg confrontation involved a triangulation of sources. There are the two works to compare, of course, but their reciprocal interpretation is guided by some biographical or historical document. In my study of Porgy and Bess, the Willi Reich analysis of Wozzeck from 1927 gave focus to the comparisons of music and drama; indeed, it made it possible to identify them in the first place. My intention was to gather a series of confrontations that were to have included a chapter on how Wagner’s opera The Flying Dutchman can be understood as a free, but thorough, reworking of Beethoven’s Ninth Symphony. In seeking to explain what musical details motivated Wagner’s narrative for the first movement as a struggle between good and evil, I gradually came to a conclusion that I had not anticipated; namely, that Wagner had found the seeds for his conflict narrative in Beethoven’s manipulation of counterpoint by contrary motion. With this discovery, the relatively contained “chapter” I had anticipated quickly expanded into a book of its own. One discovery led to another. Several of the compositions that I examine involve works that have already been recognized as related, such as Beethoven’s Ninth and Brahms’s First Symphony, and the Ninth and Schumann’s Second. But there are also several unexpected juxtapositions: Schumann’s Second Symphony and Tristan und Isolde, Tristan and Bach’s Cantata 21, and Brahms’s First and Wagner’s Faust Overture, among them. This project is an obvious outgrowth of my interest in musical allusion, but while occasionally I point out allusions between works, most of the shared ideas are not necessarily allusive. This is not a study of how Schumann and Wagner alluded to Beethoven’s Ninth. My argument is broader, that Beethoven’s successors discovered techniques Beethoven had used in the Ninth, and from the moment of discovery, began to apply these techniques in their own works. Christopher Reynolds is Professor of Music at the University of California, Davis, and immediate past president of the American Musicological Society. The new book was published by UC Press as an Ahmanson Foundation Book in the Humanities and with the support of the Joseph Kerman Fund of the American Musicological Society. Victory in Europe, or V-E Day, was proclaimed after the military surrenders in Reims on 7 May 1945 and in Berlin the next evening. 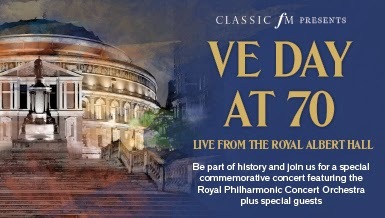 The 70th anniversary, being commemorated today, is considerably tamer here in France than the big deal last June for the anniversary of D-Day, with its pageantry, state visits (the Queen, President Obama, Vladimir Putin) and all the rest. But even the tiniest villages paused to lay a wreath, instruct the school children in what had happened, and sing the Marseillaise (not half badly, in our village). Glenn Miller Army Air Force Band broadcast of 12 February 1944. (Miller's plane was lost between England and France, 15 December, en route to entertain the liberation forces in Paris). In and around London, days of partying are envisaged, including tonight's Party to Remember and outdoor concert at the Horse Parade and a big concert at Royal Albert Hall on the 10th. NOTE: Anna Maria Busse Berger today delivers the annual Faculty Research Lecture at the University of California, Davis. The award is the highest honor bestowed by the Academic Senate and has only been granted to one other Music professor, the composer Richard Swift (1984). Busse Berger’s research on German missionaries exploring music in Africa devolves from personal experience: in 1959, her missionary father moved the family to Tanzania. “My father, who later became an anthropologist, wrote a number of books on African languages and did a major ethnographic study of the Nyakyusa people in Tanzania,” she said. “He died when I was 22 and I was very close to him.” The following is an excerpt from today's remarks. What happens when Western missionaries introduce Western religious music to local populations in Africa? Do they understand that African music is worth preserving, or do they try to replace it with European hymns? And how do the Africans react to Western music? I have chosen to study four different missionaries from three denominations: two Moravians (Traugott Bachmann, Franz Rietzsch), one Lutheran from the Leipziger Mission (Bruno Gutmann and Elisabeth Seesemann who worked with him), and one Catholic Benedictine from St. Ottilien (Meinulf Küsters). Remarkably, most of these missionaries were exposed to two significant movements in early twentieth-century culture that both shared a passionate interest in medieval music: the newly established discipline of comparative musicology and the Jugendmusik- and Singbewegung, movements that tried to revive early music and folk music by editing and performing Gregorian Chant, Lutheran chorales, and Renaissance polyphony. Erich Moritz von Hornbostel and Carl Stumpf, founders of comparative musicology, established the Phonogrammarchiv in Berlin in order to collect, analyze, compare, and classify recordings of orally transmitted music from all over the world. They were convinced that music in “primitive” cultures was similar to medieval music, and often drew far-reaching conclusions about medieval music based on what they observed in other cultures. All four of my missionaries made recordings of African music now preserved in the Berlin Phonogrammarchiv. Now, my questions are: how did comparative musicology and Jugendmusikbewegung influence the music in the mission stations? Did missionaries translate and publish the chorales they used in their missions? Did they introduce musical notation? Did the missionaries ask members of the communities they visited to create new hymn verses and melodies they would understand better and find more attractive? Was there any room for improvisation? If they were open to local culture, what room was there for its music? For example, were they able to teach the new congregations how to sing polyphony? And if so, how did this polyphonic practice relate to local polyphony? Did they do ethnographic work and try to relate what they found to medieval and Renaissance music? All four of my missionaries come from communities with vibrant music traditions and have left extensive publications and letters that describe their experiences. Rietzsch, for example, made fundamental observations about Nyakyusa music only described in the late 1960s by the Austrian ethnomusicologist Gerhard Kubik. Gutmann was an important ethnographer, who advocated early on that Chagga rituals and dances should have a place in the service. Both Rietzsch and Küsters realized that much of the music in the Nyasa area is pentatonic. They describe in fascinating detail that local populations are completely unable to sing Western chorales. As a result, they automatically eliminate half-steps from the hymns and adjust them to their tonal system. Here is an example I made from a Nyakyusa congregation in Masoko in 2011. Rietzsch tried to introduce pentatonic versions of Reformation-style chorales, which his congregation refused to sing. Küsters was more successful, he had his congregation sing pentatonic versions of Gregorian Chant. All tried to apply medieval church modes to African music. But none of them ever understood fully that medieval music was very different from the one they encountered in Africa. Busse Berger, “Spreading the Gospel of Singbewegung: An Ethnomusicologist Missionary in Tanganyika of the 1930s," Journal of the American Musicological Society, vol. 66, no. 2 (Summer 2013) (pp. 475-522) (JSTOR $). This article won major awards from two professional societies in 2014: the H. Colin Slim Award of the American Musicological Society, for the best article by a senior schorlar; and the Bruno Nettle Prize of the Society for Ethnomusicology, for outstanding publication. Jeffrey Day, news coverage in Davis Enterprise, 5 May 2015. 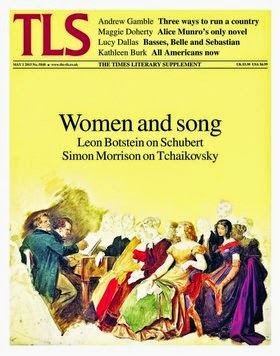 Morrison's essay (p. 14) is titled “Waist-Deep: In the Mire of Russian and Western Debates About Tchaikovsky”—a subject he also approached in a video for this blog. He considers the question “Who made the genius gay?” after an article published last November in the semiofficial arts and politics newspaper Kul’tura. And to what ends? The complimentary online version, titled “In Bed With Tchaikovsky,” is HERE. Leon Botstein is president of Bard College, a position he has held since 1975. He is also Bard’s Leon Levy professor in the arts and humanities. In addition to serving on a number of boards, he is the musical director and principal conductor of the American Symphony Orchestra, and conductor laureate of the Jerusalem Symphony Orchestra.